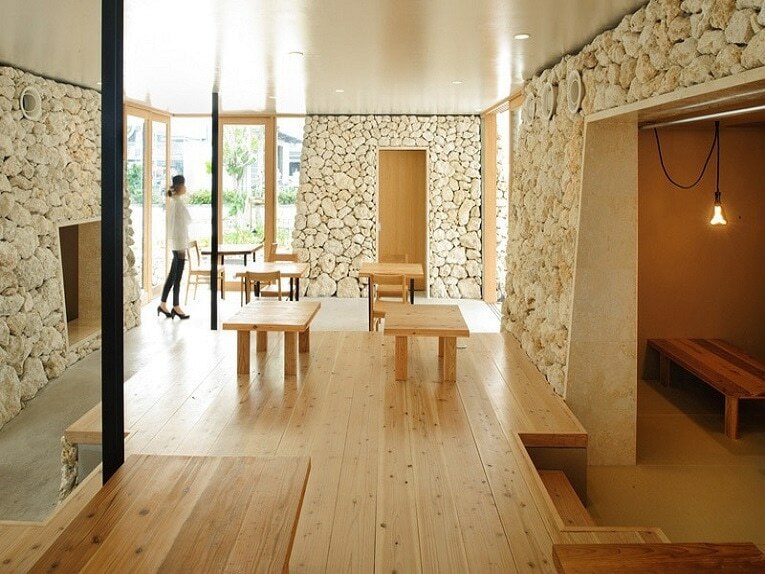 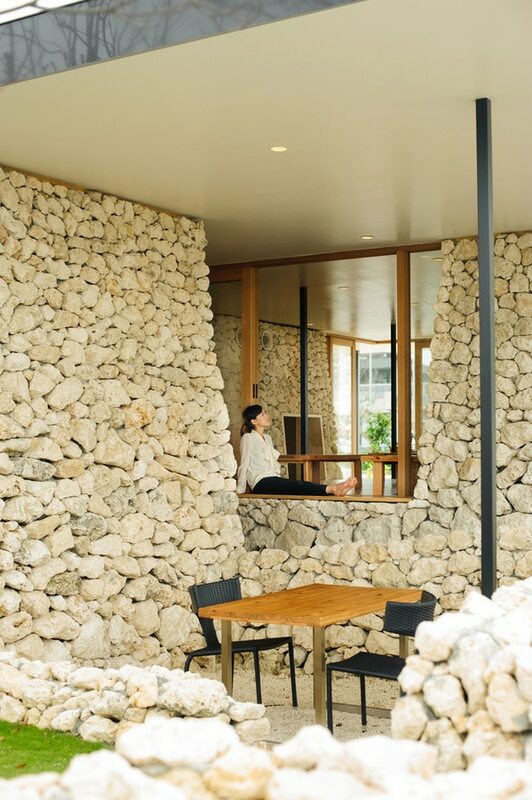 Yamazaki Kentaro Design covered the Itoman Gyomin Syokudo restaurant in Okinawa, Japan, in Ryukyu Limestone. 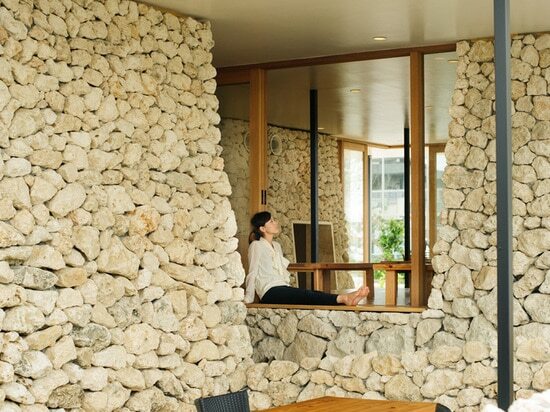 The Itoman Gyomin Shokudo, located in Itoman, Okinawa was conceived with the aim of supporting and promoting the local tradition and culture through its cuisine. 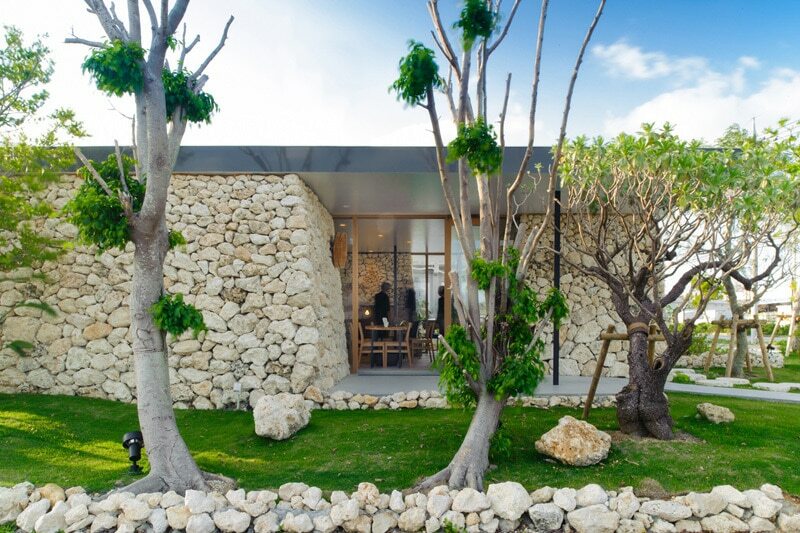 The restaurant is covered in Ryukyu limestone and was constructed as part of a “masonry workshop” organized by the project collaborators. 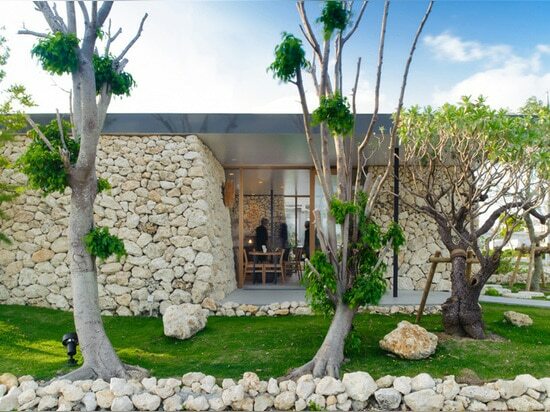 The fishermen in Itoman often constructed their own fishery grounds by hand using Ryukyu limestone. For this reason, we adopted the traditional construction method of “Nozura-Zatsuzumi” to construct the facade with the help of local workshop participants. 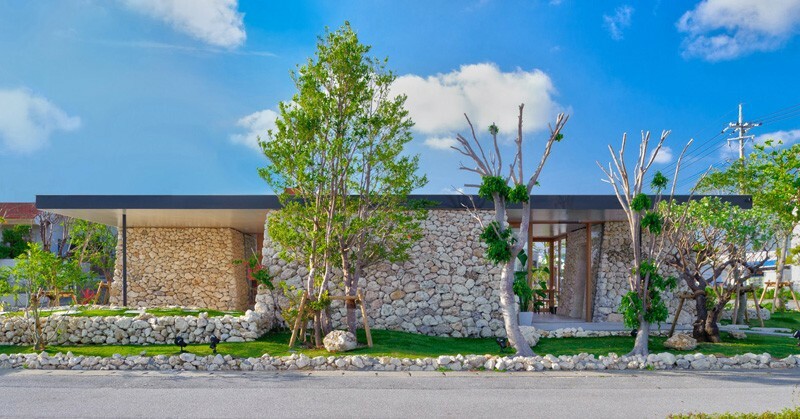 Using the techniques of their ancestors they have imbued the structure with the pride and love of fishermen. 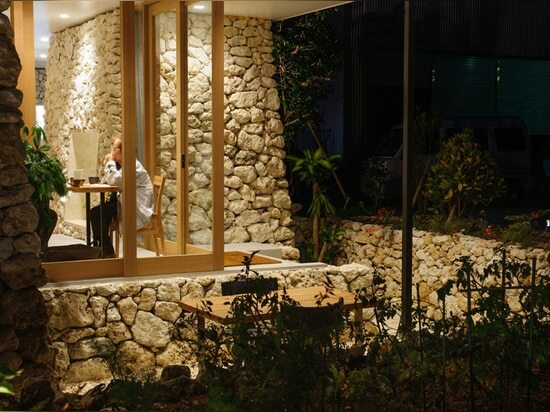 The restaurant seating is raised from the ground level and creates a spatial balance with the sunken gardens that surround it. 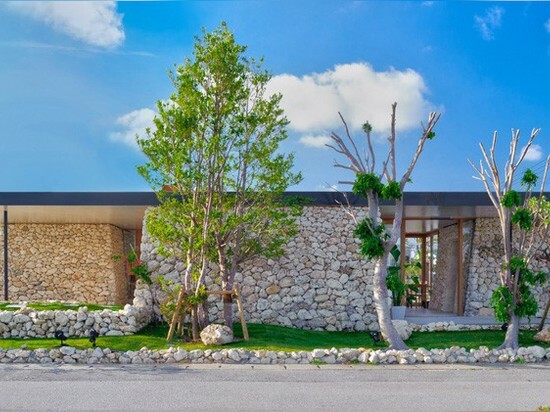 The single-slab flat roof on top of the facade functions to shield the interior from the hot Okinawa sun while the wind passes freely through the interior. 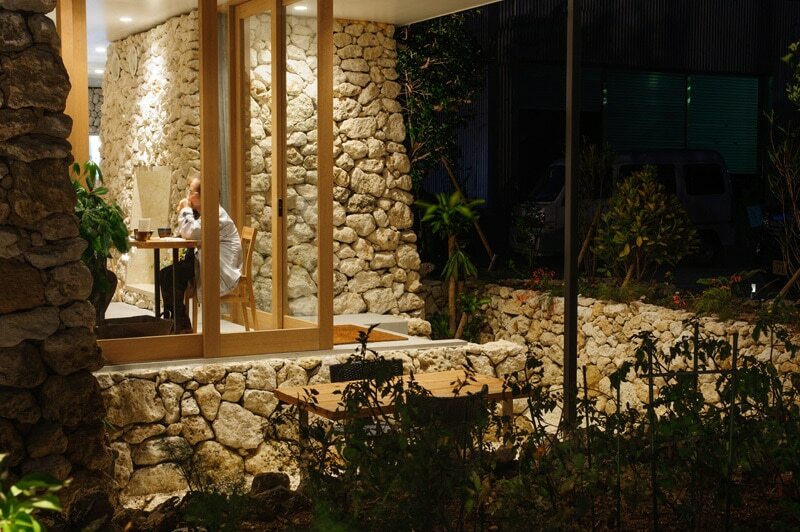 By choosing to make the roof from a single panel, we hope the restaurant becomes a landmark in the area and contributes to a generous landscape rooted in the culture of Itoman, Okinawa.